Our award winning Plastic Surgery & Aesthetic clinic is recognised for its warm and caring approach. Our goal is to provide you with the highest standard of care which is in your best interest and to achieve the best possible results for you. Mr. Christopher Inglefield BSc, MBBS, FRCS(Plast) was born in Trinidad, West Indies, and obtained his Medical Degree from the University of the West Indies in Jamaica and Trinidad in 1985. After attaining his Medical Degree he went on to complete his specialist surgical training in the UK passing the examinations for admission as a Fellow to the Royal College of Surgeons of England in 1990. Soon after he became passionate about plastic surgery and after 6 years of developing his specialist skills and experience passed the intercollegiate specialist examination (in Plastic Surgery) and was awarded the FRCS(Plast) in 1997. 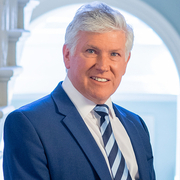 This confirmed his expertise in all aspects of Plastic, Reconstructive and Cosmetic Surgery and he was admitted on the Specialist Register of the UK General Medical Council (GMC). Envie três fotos hoje e veja uma simulação 3D durante sua próxima consulta com Mr Christopher Inglefield. Veja seu atual corpo/rosto em 3D antes da consulta e tenha acesso desde casa para ver simulação e compartilhar com amigos depois da consulta e assim tomar uma decisão mais segura. Depois da consulta com Mr Christopher Inglefield, é possível pedir acesso e também compartilhar com seus amigos e familiares e ter opiniões.